How do I edit my matching opportunity for my fundraising campaign? 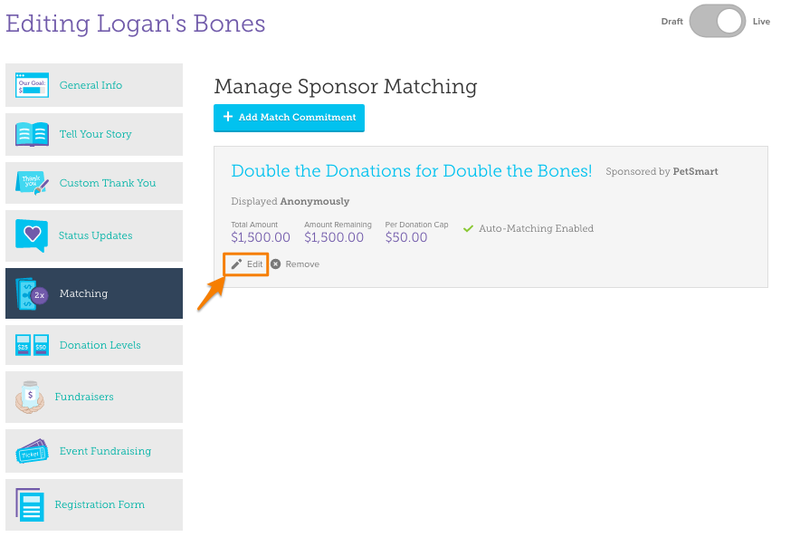 Select the Fundraising tab in the left navigator of your Admin Dashboard, then click the Campaigns section. 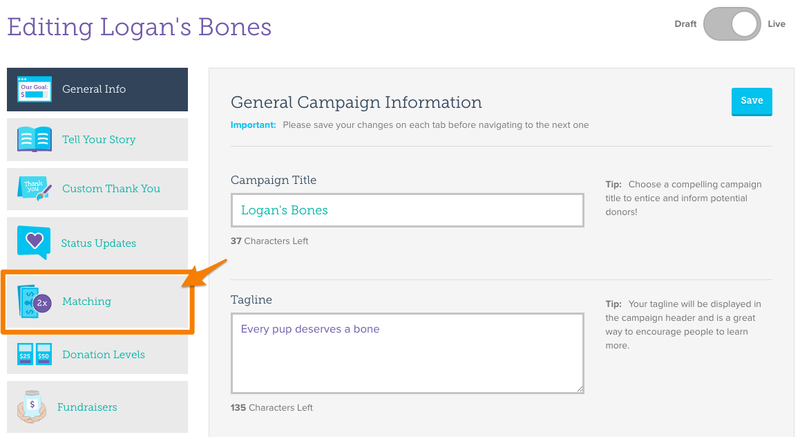 Once in the Campaign section of your Admin Dashboard, select the Edit button beneath the campaign you'd like to edit, and you'll be directed to your Campaign Editor. From the "Matching" tab click the "Edit" link below the match you'd like to update. Once you've made your changes be sure to hit the "Save" button again.